Lovely sambhar and a lovely meal..
Sambhar with fresh masala podi, my all time favourite, love these sort of mixed veggies gravy...delicious!! Looks so flavorful and yummy!! 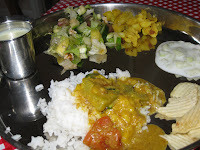 Kadhamba sambar sounds nice, we make it quite often at home. 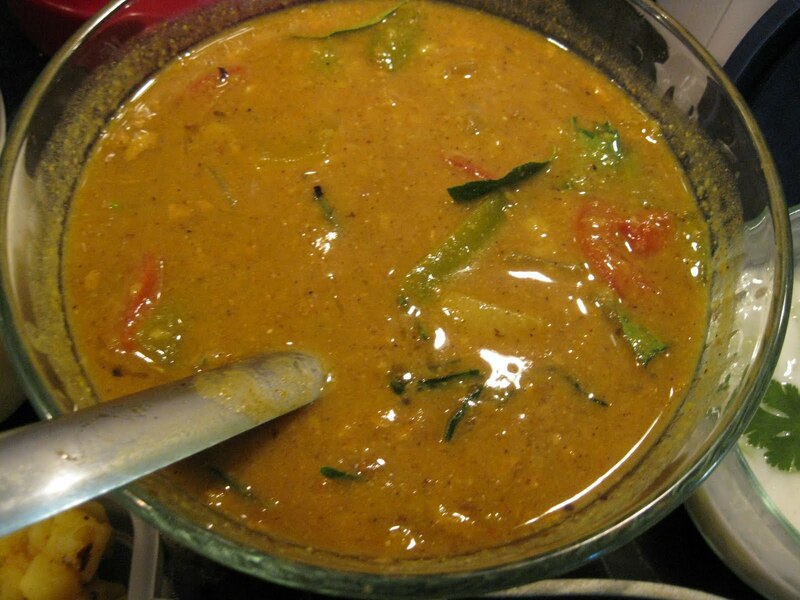 Can you tell me the recipe for Sambar powder? Your Sambar looks yummy. Could you please tell me the recipe for Sambar powder you used?